In these times of unusually low sunspot activity, it’s more important than ever to get the best possible data about solar irradiance, using the latest technology – and here it is. A new solar irradiance sensor is headed for the International Space Station, NASA reports. 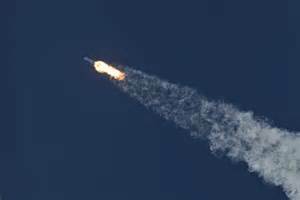 A SpaceX Falcon 9 rocket lifted off on December 15, 2017, from Cape Canaveral Air Force Station. The rocket carried a SpaceX Dragon laden with 4,800 pounds of research equipment, cargo, and supplies for the International Space Station. Amidst the research equipment is the Total and Spectral Solar Irradiance Sensor (TSIS-1), a Sun-watching sensor that will measure how much solar energy reaches Earth (total solar irradiance) and how that energy is distributed across the electromagnetic spectrum (spectral solar irradiance). The measurements are critical to understanding Earth’s energy budget, climate change, and how small variations in the Sun’s output can change the way energy circulates through Earth’s atmosphere. Once TSIS is mounted on the Space Station and begins operating, data from the sensor will be used to extend a space-based record of total solar irradiance dating back to 1978. It will also extend the observational record for solar spectral irradiance (a more specific measurement) that began in 2003 with the launch of the Solar Radiation and Climate Experiment (SORCE) satellite. Having TSIS collect measurements that overlap with those collected by older missions is critical to reducing uncertainties in long-term records of solar change. After all the hoopla over this exciting new instrument, they already know the answer: TSI variation is “too tiny to matter.” And so what is the real culprit behind climate change? Anyone? Even though Spacex have been making it look routine, watching a Falcon 9 go into space, then turn around and land back on a target the size of a tennis court is still the coolest thing I’ve ever seen. Good to know that Elon Musk does some things right. Variations in cloud cover might be a good line of enquiry.